Item #: CNML1255. 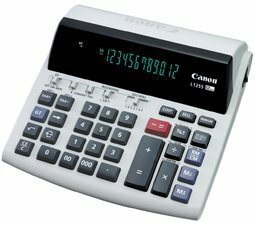 Desktop 12-digit calculator. Easy-to-read flourescent display. Profit margin calculations. Tax calculations, currency conversion. Clock and calendar function. Triple zero key. Full features with compact size.